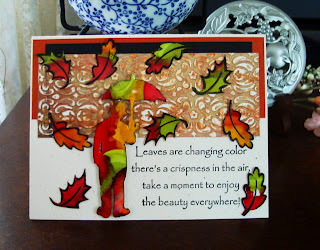 Alcohol Inks is the theme for this challenge. Stamps used are Leaves; Hero Arts. 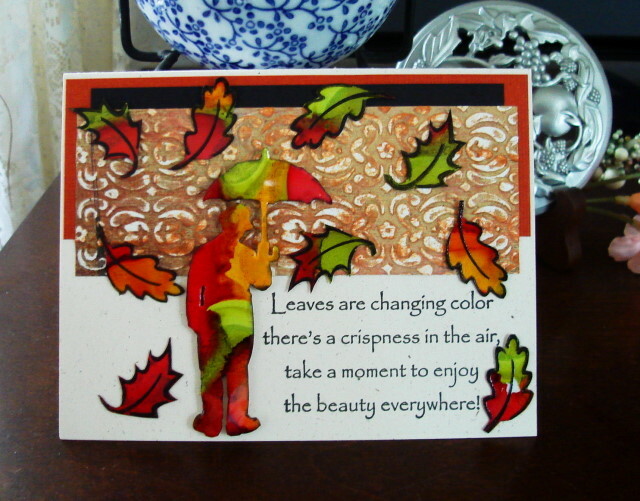 Leaves are Changing; DRS. 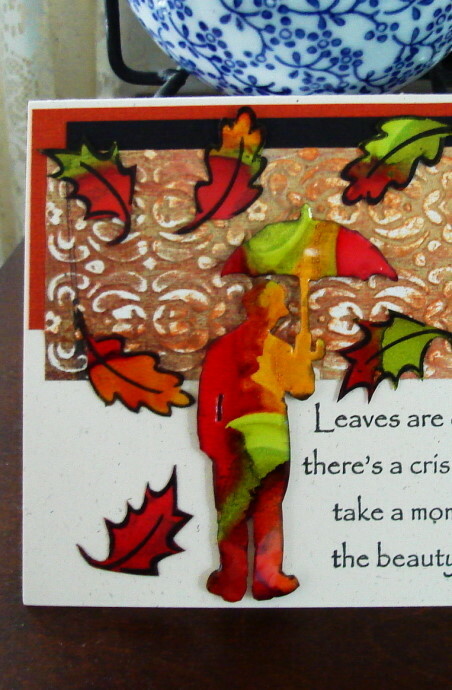 Small Umbrella Man is an Embossing folder from Sizzix. Alcohol Inks used; Butterscotch, Red Pepper, and Lettuce, these were dropped onto Acetate. I ran the sheet of acetate through the Xyron and added regular cardstock to the back. Thanks again, Have a wonderful week-end. Love the bright colors! Of course I love the design too! I really love your falling leaves with the Umbrella Man! The colors are beautiful! So clever to cut him out from the folder for a smaller size! 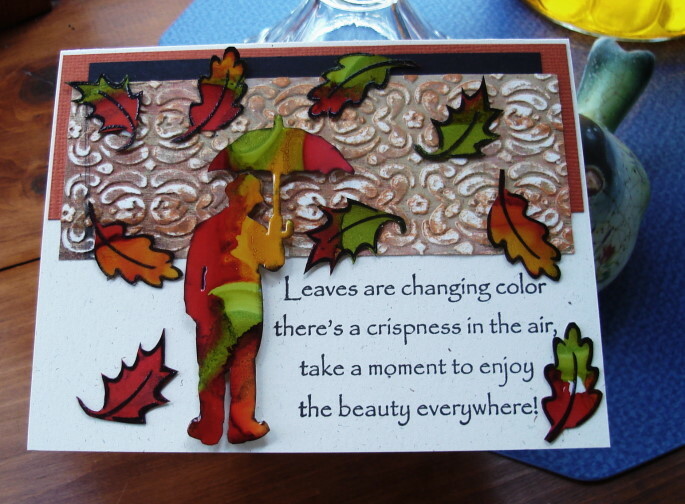 I know you must be enjoying some falling leaves of your own! Hugs!